Updated: 1/6/2019. 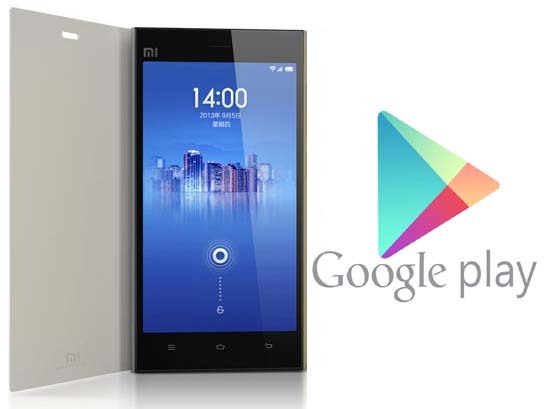 Chinese Android smartphones do not have a Google Play Store installed in them. There is no single application by Google installed in the phones. This is because of China’s policies towards the restriction of the search giant and social media platforms operating worldwide. China doesn’t allow these platforms to work openly in their country. If you are planning to get your hands on a smartphone by a Chinese manufacturer within China, you may find out that there is no official Play Store in the phone, but you will find the exclusive stores by the smartphone manufacturers. Those stores are not as good as the Google Play Store and this may raise a need for installing the Play Services along with the Play Store on your phone. 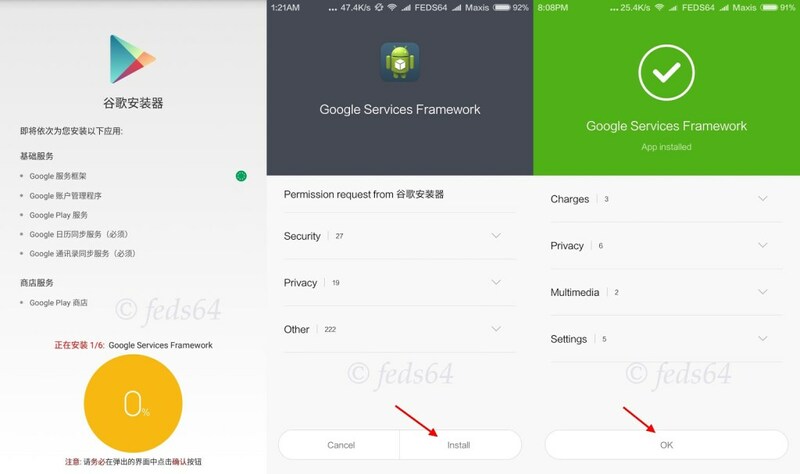 Luckily, it is very easy to install the Play Services and all other Google applications on your Chinese Android phone. You can install Play Store on any Chinese phone manufactured by Huawei, Xiaomi, ZTE and others by following the guide coming up next. This can be done either by manually installing the Google Play Store through an APK file or by installing the Google Installer which will push the Google Play Services framework in your phone. Once you have the install, you are all set to explore the Play Store loaded with millions of cool Android applications and games. 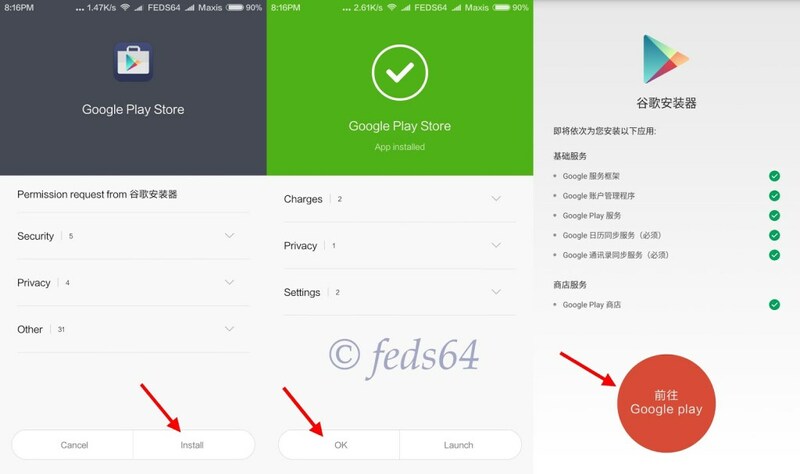 Let’s learn now how to install Google Play Store on Chinese Android phones. Let’s have a look at the easiest method first. If this works, it’s all good otherwise the 2nd method is guaranteed to work. Download the latest Google Play Store APK file and copy it to the internal or external storage of your Android phone. Now on your phone, go to Settings > Additional settings > Privacy > Turn on the Unknown Sources. For some phones, you will simply have to go to Settings > Security/Privacy > Turn on the Unknown Sources by tapping its button. Now open the file manager on your phone and locate the copied Play Store APK file and tap it to install it. Finish the Play Store installation. Play Store will automatically install Play Services on your phone. Once done, access the Play Store through app drawer or app menu. Start downloading your favorite apps and games now. That’s all. Note: In some cases, for example, for Huawei Honor phones, you will first have to install the GMS Installer. This is the Google Mobile Services installer which will allow the installation of Google Installer on your phone. To install it, simply download the GMS Installer APK and install it just as you install any other APK on your phone. After installing the GMS Installer, go ahead and install the Google Installer to install Play Store and Play Services. Download the latest available Google Installer APK file and copy it to your phone’s internal or external storage. Now on your Android phone, go to settings > security/safety> check Unknown sources option. After this, open file manager on your phone and locate the copied Google Installer APK. Tap the APK and install it by using on-screen instructions. Once the installer APK has been installed, open the installer from the app drawer or application menu. Now in the installer, tap the yellow button on the bottom to proceed installation. In the next screen, tap install and then tap OK to process it. When it asks you for the Google Play Store, once again tap Install, then tap OK and then tap the red button appearing at the bottom of the screen. Now press the button showing an agreement/asking for permissions > Allow it and press NEXT. Once done, Play Services and Play Store will be installed on your phone. If the Play Store doesn’t appear in the application menu, you may have to grab the latest Play Store APK file and install it manually on your phone. Since you have installed the Google Framework, installing Play Store will not be an issue now. 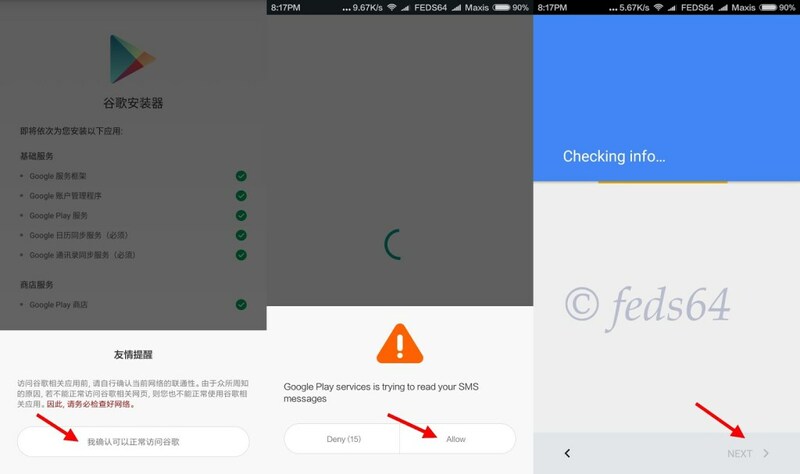 Here are the guides to install How to download and install the Google Play Store on Android | Download Google Play services 9.6.80 APK. That’s all. If you face any kind of issues regarding the guide above, do reach me out through the comment box below.